Madison, WI - August 23, 2017; Contact Tyler Huebner, Executive Director, 608-255-4044 ext 1. 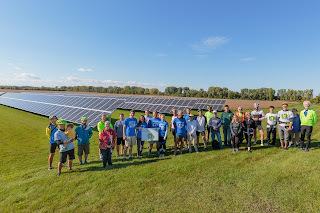 On Sunday, October 1st, RENEW Wisconsin, with presenting sponsor SunPeak, will host its 5th annual “Ride with RENEW” bicycle tour of renewable energy projects, with this year’s ride taking place in Middleton, WI. 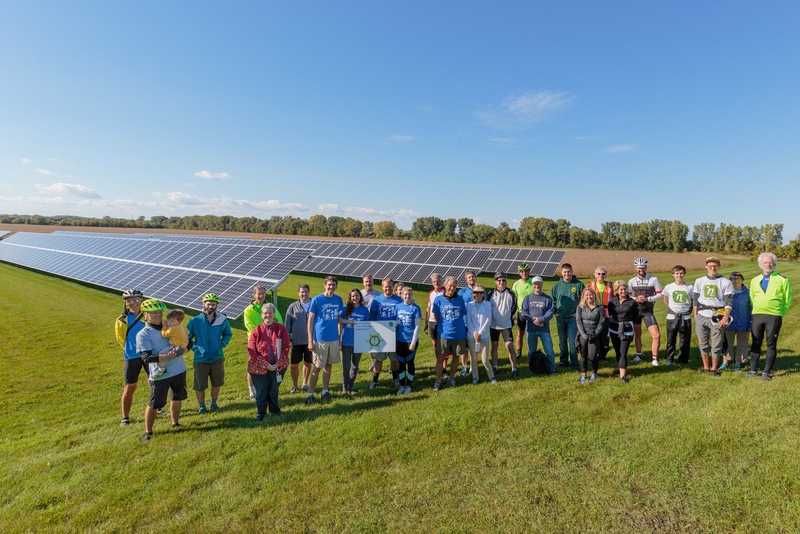 All event proceeds support RENEW Wisconsin’s ongoing work to advance renewable energy in Wisconsin. 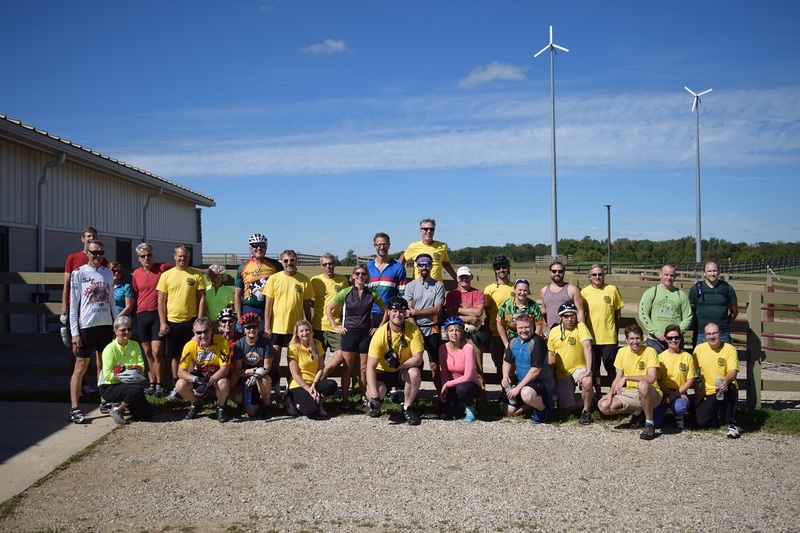 Riders will travel approximately 22 miles on paved roads and bike paths to visit innovative wind, solar and biogas energy generation facilities in scenic northwest Dane County. The total tour time will be approximately 6 hours (including stops at renewable energy sites) and actual riding time will be 2 to 3 hours. Seasoned cyclists will have an optional longer route of about 40 miles to travel at their own pace. ∞ Gather at BMO Harris Bank parking Lot in Middleton for a 9:30 a.m. departure. ∞ Sustainable Engineering Group’s net-zero solar powered office in downtown Middleton. ∞ Gundersen Health Systems & Dane County Biodigester. This project converts manure to make enough electricity to power approximately 2,500 homes while keeping manure out of the watershed. ∞ Madison Gas & Electric’s Middleton Shared Solar project, a large 500 kilowatt solar project on the roof of the Middleton Operations Center. Subscribers to this pilot shared solar program receive the benefits of locally generated solar power from a centralized solar project. ∞ Epic’s “Galactic” Wind Farm, featuring six turbines — each with three 135-foot blades – which rise hundreds of feet above the rolling hills northwest of Madison and generate enough electricity to help Epic offset much of its energy needs. ∞ PDQ in downtown Middleton. Presenting sponsor SunPeak installed solar panels on this store which showcases the market advances of solar alongside traditional fuels. The ride will conclude at Capital Brewery, also powered by a set of solar panels, for refreshments around 4:00 p.m. Registration for the ride is open through September 29th. The cost is $30 for members of RENEW Wisconsin, $40 for non-members, and $60 to both register for the ride and become a member of the organization for one year. All donations to RENEW Wisconsin for this charity bike ride are matched up to $15,000 by generous donors John & Mary Frantz of Madison! Sponsors of the Event include SunPeak (presenting sponsor), Capital Brewery, City of Middleton, H&H Solar, Summit Credit Union, Wegner CPAs, Full Spectrum Solar, One Energy Renewables, Midwest Solar Power, Madison Solar Consulting, Open Circle UUF, and Willy Street Co-op. There is still time to sponsor if your business or organization wishes to do so.